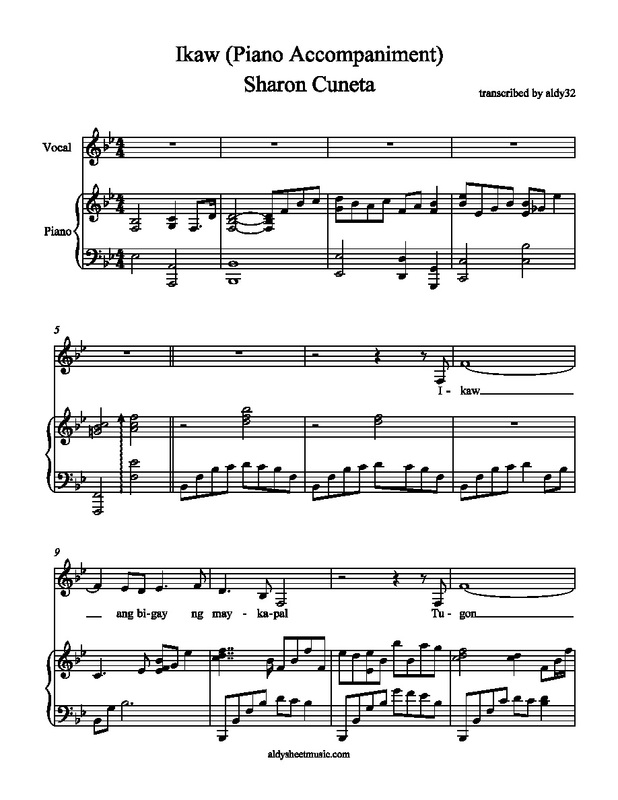 Sheet music for Hallelujah (Accompaniment) by Il Divo. Transcribed by aldy32. Sheet music for Ikaw (Piano Accompaniment) by Sharon Cuneta. Vocal line with lyrics included.